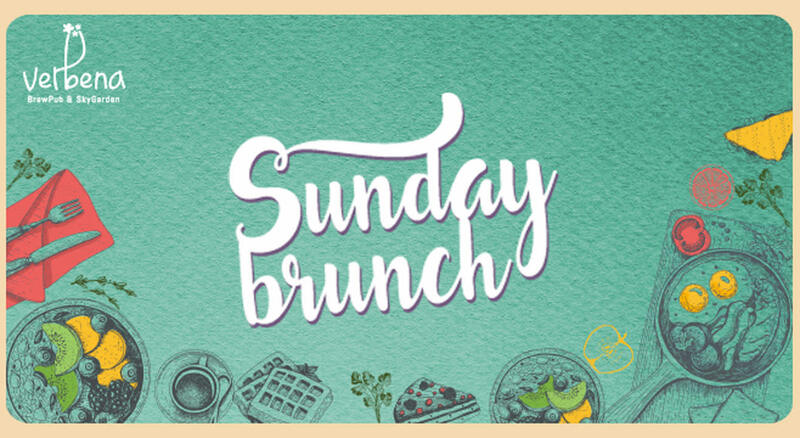 Verbena - BrewPub & SkyGarden presents Sunday Brunch, every Sunday from 12:00 PM to 03:30 PM! Relish Verbena's wide variety of food spread and live counters with exemplary service and gorgeous roof-top view! Not to forget, Sunday brunches also mean unlimited beer and wine with some great music. Verbena have your Sunday sorted.